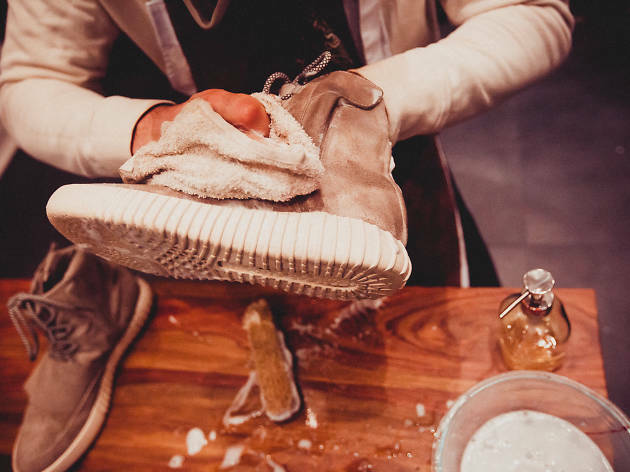 Give your trainers a second lease of life. 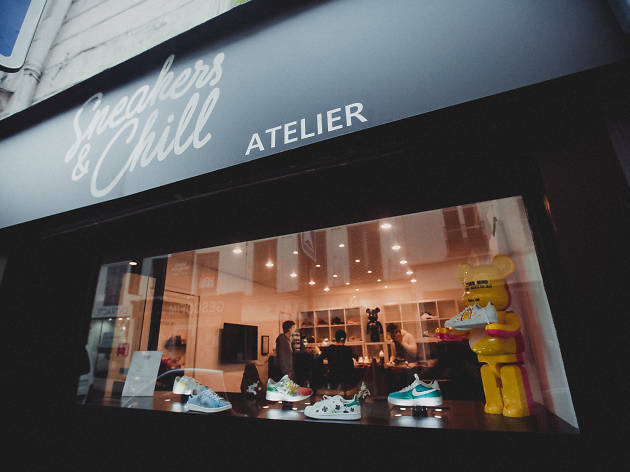 Like all the best ideas and business plans, Sneakers & Chill was born from the aftermath of a party. Three young Parisians – Romain, Nathan and Jean - awoke with few memories but the state of their trainers told them enough. After "dragging your Nikes through a hedge backwards" one of the founders asked, "who can mend shoes in this state?" 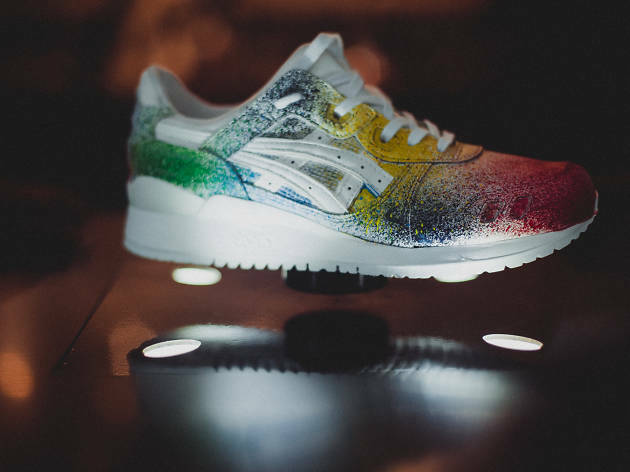 Without thinking twice, the three entrepreneurs decided to answer their own question by opening up France’s first trainer cleaning, repair and customisation boutique on Rue d'Aboukir. The idea had already been launched in America, but so far nothing existed like it in France. 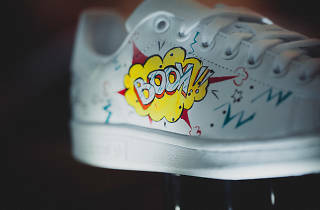 "There was no model, everything had to be started from scratch", says Nathan, the head worksman who first learned his craft in shoes. 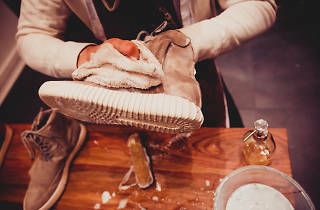 The move from luxury leather Italian moccasins to trainers was but a step. 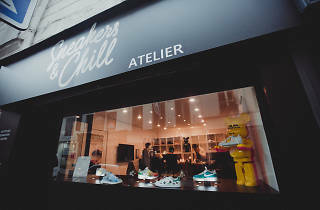 After a private opening in September 2016, Sneakers & Chill officially launched in style with a party last December. 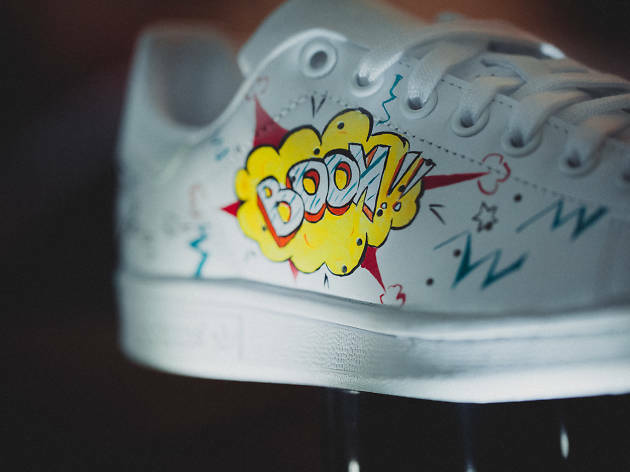 The boutique quickly attracted an eclectic crowd, and not only puritanical sneakers’ fans. 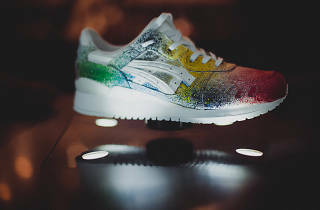 From trendy Parisians coming to whiten their Stan Smiths, to runnners taking care of their Nike Zoom Flys, or a young model who brings in his pair of Yeezy trainers to style them to his taste, every day in Sneakers & CHill is a veritable catwalk. This storming success goes to show the transversality of the trainer for all walks of life. "It’s simple, the trainer is becoming a tyrant", says Nathan. Yes, but a tyrant we’re kneeling to: from deep-cleaning (€19 to €30); to a total rehaul comprising a leather treatment, colour retouching, water-proofing, lace replacement and deodorisation (from €30 to €90); plus the possibility for more extravagant customisation (from €60) Sneakers & Chill does everything to bring new life to your old shoes. "Cleaning rather than rebuying is so much better", assures Nathan. A step into eco-friendliness that we salute!